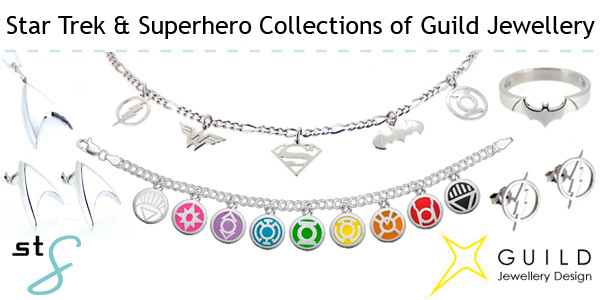 Offering sophisticated and chic sterling silver jewelry licensed from DC Comics and Star Trek, Australian jewelry company Guild Jewellery Design is one of the few companies around offering stylishly geeky jewelry that wont break the bank. With average prices ranging from $30-80 (though those gorgeous charm bracelets will set you back between $140 and $275), their rings, earrings, necklaces, etc., are a perfect happy medium in quality, price, and style compared to what you’ll get from Hot Topic and nOir Jewelry. 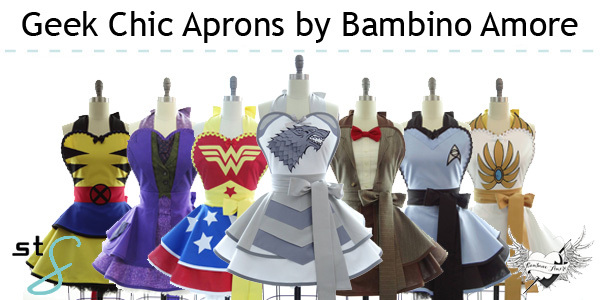 It seems that more and more, we’re seeing high end fashion influenced by geek culture. Whether it’s jewelry, or shoes, the fashion industry is definitely looking to geeks for their next big idea. 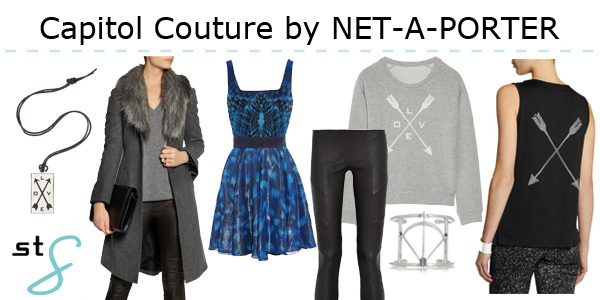 Such is the case with the NET-A-PORTER Capitol Couture line by Catching Fire’s costume designer Trish Summerville. 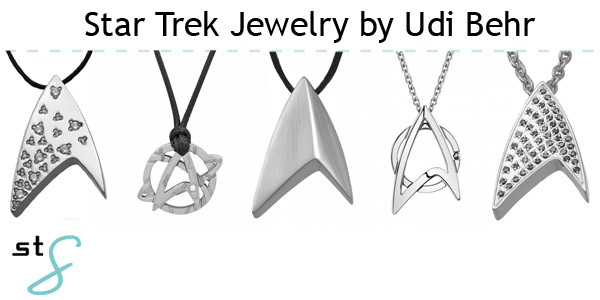 Back in December 2011, CBS Consumer Products partnered with jewelry designer Udi Behr to create a line of fashionable, stylish, and iconic pendants, bracelets, and rings. 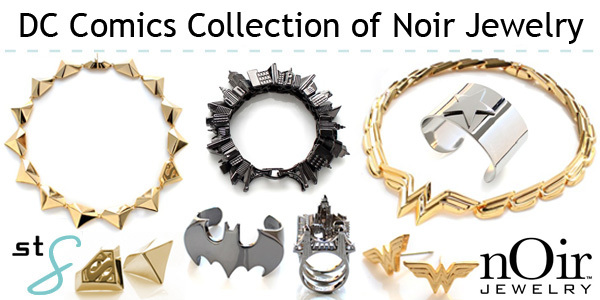 I’ve been a fan of nOir Jewelry since their original collaboration with DC Comics launched back in 2010, before our blog even started! With a new batch of fashionably fantastic pieces newly released from their DC Comics Collection, it’s the perfect time to share some of our favorites from the new launch. 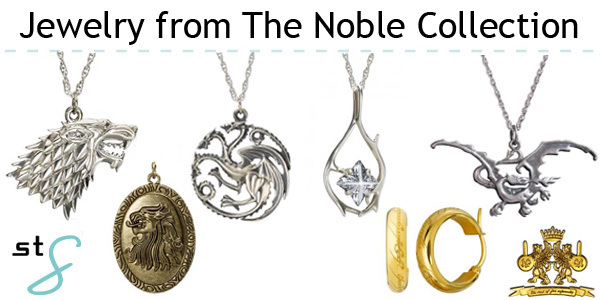 The Hobbit: The Desolation of Smaug is out in theaters now, and if you’re looking to create or add to your Tolkien-themed looks, then The Noble Collection (possibly best known for their replica Harry Potter wands) is the place for you to find inspired-by and replica jewelry pieces from the Tolkien franchise, as well as other fantastic fandom franchises like Game of Thrones and even Nolan’s The Dark Knight! 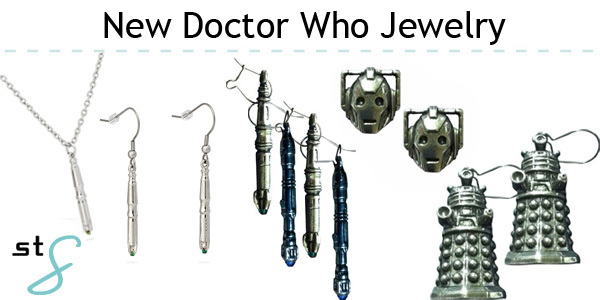 There’s some new Doctor Who jewelry to be had thanks to Think Geek and Amazon UK! After the epic fail that has been Harlequin Goldsmiths, who had the license to create high-end jewelry specifically for the 50th anniversary, I think it is an incredibly welcome sight for Doctor Who fans to see other companies producing jewelry now, especially of sonic screwdrivers! A few years ago, you’d be lucky if you could find a geek-themed shirt in a woman’s style t-shirt. Now we’ve got all sorts of dresses, skirts, leggings, and more to choose from this holiday season! We’ve picked out some of our top favs that are sure to start, or add to, a chic geek girl’s wardrobe. ‘Tis the Season, folks! 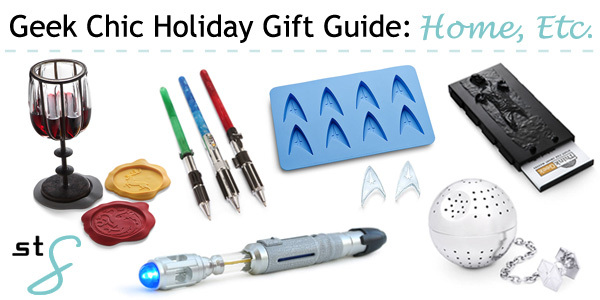 Lindz and I found ourselves stunned the other week as we were compiling these gift guides. Why? Because there was so much to include! To be at a point where there’s an abundance of stylish items available to geeks is, literally, shocking…and so awesome! We can’t wait to see what next year is like. 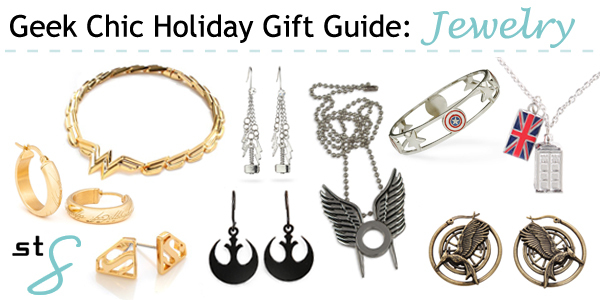 For now, enjoy this gift guide covering some of our top picks for geek chic jewelry that is sure to please.